With a few carefully chosen options, the base three-cylinder 2015 MINI Cooper offers better value than the high-end Cooper S--which offers less of a performance boost than it used to. The 2015 MINI Cooper hardtop is the third generation of the "new MINI" that launched more than 10 years ago, bringing the spunky British rollerskate-on-wheels to the U.S. for the first time since 1967. 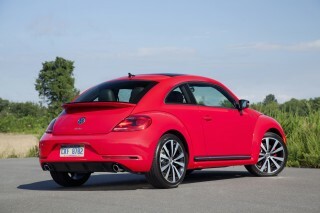 But now it comes in two versions: not only the familiar three-door hatchback, but a five-door hatchback as well. The only MINI offered that way to date has been all-wheel-drive Countryman model. The "Hardtop 4-Door," as it's dubbed, is new for 2015, following last year's launch of the revised three-door car (now labeled "Hardtop 2-Door"). The new addition is a longer and more capacious version of the 2-Door, but it adds to the sprawling MINI lineup, now approaching 10 different models. Both the Hardtops come only with front-wheel drive, and they represent the British minicar's first complete redesign since 2007. Inside and out, the redesign brings the classic MINI shape up to par and beyond in several areas, including refinement, interior materials, standard and optional features, and general comfort. The MINI is still a very small car, but it's one that's improving with the years, while keeping the distinctive looks, cheeky character, and rollerskate handling of previous generations very much intact. On the outside, only the longer nose really betrays the complete redesign until you put a 2015 MINI next to an older version from 2007 or even 2002. It's gained slightly in every dimension, and visually, a longer hood and less stubby front indicate the new crash structures and stronger bodyshell underneath. But the upright windshield, long roof, horizontal window line, and oval front lights all scream "MINI," as does an optional white-painted roof. MINI aficionados may see the differences immediately, of course. The interior is where the most visible changes have come. The ergonomics are cleaned up, with a tachometer and speedometer behind the steering wheel at last, and the large round central dashboard shape now solely a display screen (of various dimensions depending on model and optional equipment).Three rotating knobs handle the ventilation system, and overall it's simply much easier to understand how the controls work. They're in more logical places and look less as though a box of switches and dials was tossed into the interior and affixed at random. Two all-new engines, three- and four-cylinder members of a modular family shared with BMW, power the base MINI Cooper and Cooper S models respectively. Both are turbocharged and direct-injected; the 124-horsepower three is as powerful as the base four in earlier generations, but considerably peppier and more fuel-efficient as well, while the Cooper S is powered by a 189-hp 2.0-liter turbo four. Both engines can be ordered with either a six-speed manual gearbox (our preference) or a six-speed automatic. Handling and roadholding remain superb, with the MINI defining its urban rollerskate image and doing so more quietly and comfortably than before. The electric power steering is very good, and with a handful of optional suspension upgrades, it's pretty much impossible to disturb the car's composure on virtually any road surface. Overall, we prefer the base model to the Cooper S, given its lower price and the reduced difference in performance between the two versions--at least until the higher-output John Cooper Works versions arrive in a year or two. One of the most noticeable upgrades in this new MINI is a higher-quality interior. 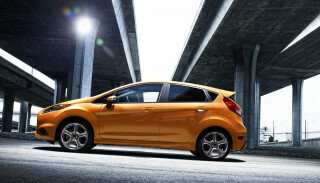 The sport seats are superbly comfortable in front, and the driving position is close to ideal. More soft-touch materials are used, and combined with a more logical layout of switches and controls, it's simply a friendlier place to be. There's still a lot of black trim and upholstery, but rear-seat riders will find 3 more inches of shoulder room, meaning some adults can ride back there for the first time. The 2015 MINI Cooper hardtop hasn't yet been rated by either the NHTSA or IIHS for crash safety, with the exception of a Good rating on the IIHS moderate-overlap front crash test. It comes standard with eight airbags, the usual suite of safety systems, and a few novel options as well. One of those--befitting its performance aspirations--is corner-braking control, in which the brake force on each wheel adjusts to accommodate changes in the car's cornering attitude to maximize traction even under hard braking. The base MINI hardtop with the three-cylinder engine and six-speed manual gearbox carries a sticker price under $21,000 including delivery. Standard features include LED headlights and leather upholstery. 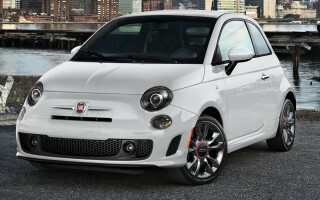 The more powerful Cooper S starts at $24,395, and an automatic transmission adds $1,250 to either model. Beyond that, there are literally dozens of options, packages, trim levels, paint and upholstery colors, and appearance options to customize a MINI. You can get a reasonably equipped three-cylinder 2015 MINI for around $27,000, although a heavy hand on the options list can take that number up to around $34,000--and around $38,000 for a top-of-the-line Cooper S. Our favorite remains the smaller-engined car, though, which is lighter, almost as quick, and has an endearing and quirky exhaust note on idle. Either way, though, the all-new 2015 MINI Cooper hardtop--and the upcoming five-door hatchback version as well--maintain the MINI's cheerful character and urban-warrior handling while smoothing out some of the rough spots found in previous generations. For that, we're willing to trade a little added size. For a more detailed review of the rest of the MINI range--including Coupe, Convertible, Roadster, and Clubman models--see our 2014 MINI Cooper review. For a more detailed review of the much larger Countryman utility vehicle, the only MINI version that offers all-wheel drive, see our 2015 MINI Countryman review. The 2015 MINI Cooper hardtop has a longer nose, but otherwise it's recognizably a MINI--and at last the interior lives up to the shape. The 2015 MINI Cooper hardtop, launched halfway through the 2014 model year, is the first all-new MINI since 2007. While it's larger in every dimension, the design is so consistent that some onlookers may never know it's a totally redesigned vehicle. It's based on brand-new underpinnings that will ultimately spawn up to 10 MINI models, though for this year the three-door hardtop is one of only two variants to use the new design. 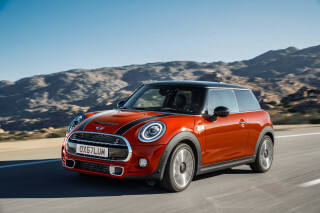 The other is a new model to the MINI lineup, a genuine five-door hatchback. It's longer than the three-door, to the benefit of rear-seat room, but still recognizably a MINI. In fact, you may miss the new design altogether if you're not watching closely. The main tipoff is the longer nose, an inevitable result of rougher front crash-safety regulations and European demands for more crush space under the hood for accidents with pedestrians. The taillights too are a giveaway for MINI aficionados; although they're still vertical rectangles, they're closer to square and larger overall. Otherwise, the usual design cues and proportions are all there: the oblong chrome-framed grille, oval light units on the top corners of the front fenders, an upright windshield, and a defined beltline with black pillars supporting a long roof that's often painted white. It's inside that the new MINI Cooper has changed, and much for the better. The previous two generations of MINIs had erognomics ranging from marginal to chaotic, and the new one has cleaned up its act, a lot. The round shape in the center of the dash is now exclusively a display screen--of various sizes depending on trim level and options--now flanked by a pair of rectangular air vents. Two more large round eyeball vents sit at the outer edges of the dash. But now, thankfully, behind the steering wheel are a large tachometer with a smaller speedometer hung off its side. There's still a horizontal row of switches in the central lower dash, but above it are three more-or-less standard rotary knobs for the heating and ventilation system. They're instantly understandable, and it takes far less time to understand how to make this latest MINI Cooper function than it did in any previous version. The roof still extends a good 18 or 20 inches beyond the top of the driver's head to the upright windshield, meaning that for those who like to sit high or are simply tall, stoplights can be invisible. Passengers still sit deep in the car, amidst quite a lot of black trim and upholstery. Still, the net effect is a MINI that's instantly recognizable, with most of the good quirks still in place--but a lot more of the bad ones removed. MINI Cooper has always been about nimble performance and roller-skate handling, and the latest 2015 model lives up to the heritage. 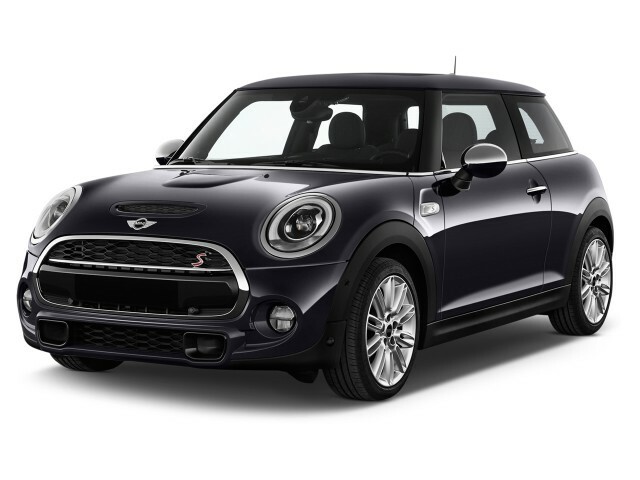 The 2015 MINI Cooper hardtop and the coming five-door version are powered by two all-new engines, developed for the first time by MINI's parent company BMW. Both are turbocharged, with direct injection, variable valve timing, and part of a larger family of modular engines to be used across most models of both brands. The base engine is now a 124-horsepower 1.5-liter three-cylinder turbo putting out 162 lb-ft of torque (with a temporary "overboost" capability of 169 lb-ft). MINI says the base Cooper will sprint to 60 mph in 7.4 seconds and reach a top speed of 130 mph. That's with the crisp six-speed manual gearbox; there's also a six-speed automatic on offer. It'll cut 0.1 second off that acceleration time, but really, why would you add an automatic to a MINI? The three-cylinder has an appealingly uneven exhaust sound, but you'll hear it more from the outside or with the windows open that from inside the car. But it's tuned to put out its power from low speeds, meaning there's relatively little turbo lag, making the car tractable around town. The Cooper S is a second faster to 60 mph, at 6.4 seconds with the manual or 6.3 seconds with the automatic. 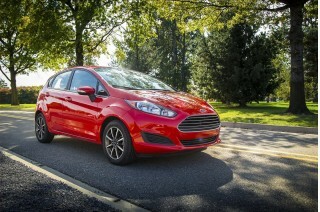 But unlike the base model, those numbers are notably better than its predecessor. Fuel economy numbers range from 33 mpg combined for the base model with a manual to 27 mpg combined for the Cooper S with the manual. Oddly, the automatic is more efficient in the Cooper S but less efficient in the base MINI; we suspect gearing differences. Start-stop is fitted as standard; it's acceptably smooth on the base model, but jarring on the Cooper S.
A toggle at the base of the ring around the shift lever lets drivers choose from Sport, Mid, or Green modes, with corresponding red, blue, or green rings around the center display screen. Sport keeps idle speed higher and holds gears longer; it also stiffens the steering, and if you've opted for the $500 adaptive dampers, they're firmer as well. As for ride and handling, one of the MINI's defining traits, it's still all there. The car corners flat, the tires feel sticky--"glued to the road," to use the cliche--and the electric power steering is among the best we've driven. Moreover, not only is the ride better than before, the whole car is considerably quieter, making it less tiring to drive aggressively. We'd likely choose the base car, which is now much closer to the Cooper S in performance, lighter and perhaps better balanced overall, and more fuel-efficient to boot. But if you're buying the car for flat-out acceleration runs, the Cooper S remains the fastest MINI--at least until the inevitable John Cooper Works performance packages arrive in a year or two. The 2015 MINI Cooper hardtop is larger inside and out, quieter to ride in, and fun to drive--but it's still a small car. The new 2015 MINI Cooper hardtop is 4.5 inches longer, 1.7 inches wider, and 0.3 inches taller than its predecessor, with a wheelbase 1.1 inches longer to boot. The body structure is stiffer, and there's more interior room, though it's still a small and narrow car next to which a Kia Soul compact tall wagon looks gargantuan. But if the body's not as ruthlessly minimal as before--blame tougher crash-safety standards--the package is still carefully defined and a delight for two people. It may even be tolerable for four, with an inch of headroom and 3 added inches of shoulder room. It'll still help, though, if the second two are slim, agile, friendly, or all of the above (the five-door version is coming this year too). The sport seats on our test cars were both form-fitting and very adjustable. The driving position is close to perfect, and there's plenty of headroom even if you sit high. the sole drawback we found is that taller or long-torsoed drivers may have trouble seeing stoplights because the long roof extends so far ahead of their skulls to some of the most upright windshield pillars of any 2015 model. With the rear seatback upright, there's 8.7 cubic feet of cargo space, a remarkable gain of 3 cubic feet over the last generation. Fold down the seat, and you'll get a similar gain, up from 24 to 38 cubic feet. An optional storage package in the rear adds a tiered shelf, package nets, and seatback map pockets, and the front compartment has various cubbies, trays, and bins. But the biggest difference in this latest MINI is the improved quality of the interior materials and the ergonomics. There are more soft-touch materials, the controls are vastly more intuitive, and the speedo and tach are both behind the steering wheel at last--with the round central shape in the dash relegated to a display screen. On the road, noise is vastly reduced. The car still rides firmly, but it doesn't crash over the worst bumps, and occupants now hear the right amount of engine noise rather than tire roar, wind rush, and suspension actions. The hot-rod Cooper S, of course, gets more of its engine noise piped into the cabin than the base three-cylinder, which has its own audio signature with an uneven idle that we found strangely endearing amidst a seat of sound-alike fours. The 2015 MINI Cooper hardtop hasn't yet been rated for crash tests, but the all-new car offers more standard safety features this year. The 2015 MINI Cooper Hardtop is an all-new vehicle with a fully redesigned crash structure intended to meet all current and future regulations. Thus far, the National Highway Traffic Safety Administration (NHTSA) has not rated the redesign for crash safety at all. The Insurance Institute for Highway Safety, however, has given the 2015 Cooper hardtop one single rating, on its moderate-overlap front crash test. The MINI received the highest rating of Good, but the IIHS hasn't yet rated the new MINI for small-overlap front crash, side crash, roof strength, or head restraints and seats. 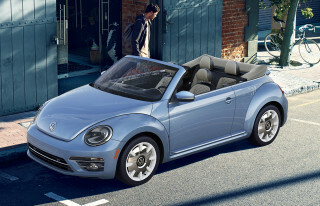 The 2015 hardtop comes with eight airbags as standard equipment: front, side, and knee bags for the driver and passenger seat in front, and side-curtain bags that cover the entire window opening. It also includes the usual suite of electronic safety systems, from anti-lock brakes with electronic brake force distribution to dynamic stability control and a tire-pressure monitoring system. It also adds corner-braking control, which adjusts the brake force on each wheel in response to changes in the car's cornering attitude to preserve maximum traction. The 2015 MINI Cooper hardtop has more standard features, but personalization will still boost its price to remarkable levels. The base 2015 MINI Cooper feels like the strongest value for money this year, with a price starting at $20,745 including a mandatory $795 shipping charge. It includes a number of premium features as standard, including LED headlights, a white-trimmed interior, and leather seats. The sportier Cooper S starts at $24,395. An automatic transmission will add $1,250 (we'd stick with the manual, thank you), and then there's the traditionally lengthy list of options and packages, from infotainment and comfort features to suspension and wheel and tire updates. The huge palette of paint, trim, and decals are a MINI hallmark as well. It's easy to take a $20,000 base price and drive it well above $33,000--and that wasn't even with the more powerful Cooper S engine. The base MINI still features front strut suspension, with a multi-link setup at the rear, but handling-oriented buyers can add a $500 sport package, plus $500 adaptive dampers--which we recommend. The standard alloy wheels are 15-inch, with 16-inch standard on the Cooper S. A wide range of optional wheels and tires ranges up to 18 inches, with the usual caveat about the tallest wheels with the lowest-profile tires giving the worst ride under most circumstances. We'd suggest that the 17-inch wheels with all-season tires are a good compromise for both the Cooper and Cooper S.
Nonetheless, a careful hand on the tickbox form will get you a hardtop in the $27,000 range that has almost everything you'd expect or want in a MINI, including the classic white roof, the sport suspension package, and adaptive dampers. Notable options include keyless entry, which provides the first pushbutton start offered on any MINI, and a heads-up display. Safety-oriented optional features include a backup camera, collision and pedestrian warning systems, a parking assistant and even a speed limit information system usually found only on far more expensive German cars. The 2015 MINI Cooper hardtop comes with all-new powertrains; its base 3-cylinder is notably fuel-efficient. The 2015 MINI Cooper hardtop is the third generation of "new MINI" since 2002, and it's taken another step higher up the fuel-economy scale. Though onlookers may assume its small size denotes exceptional gas mileage, the MINI Cooper is still rated significantly below most hybrids. 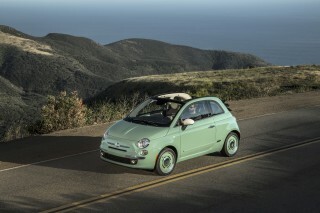 But it's far more fun to drive, and its eager character defines the car, not its fuel efficiency. Standard stop-start helps fuel economy in city driving, and eco-minded drivers can select a "Green" mode by twisting the lit ring around the base of the shift lever. With an all-new turbocharged three-cylinder 1.5-liter engine--developed by parent BMW for the first time--the base model is rated at 33 mpg combined (29 mpg city, 40 mpg highway) with the six-speed manual gearbox. Switch over to the automatic and the numbers fall to 31 mpg combined (28 city, 37 highway). The brawnier MINI Cooper S model with the turbocharged 2.0-liter four-cylinder engine comes in at 27 mpg combined (24 city, 34 highway) with the same six-speed manual. In this case, though, the automatic option gives you slightly better ratings: 29 mpg combined (26 city, 33 highway). On a lengthy 600-mile road trip in a manual base model, we logged a solid 40 mpg on the car's trip computer. Less highway travel and more urban cut-and-thrust driving will lower that substantially, of course. Looking for a different year of the MINI Cooper?